Excellent spin results, which prove that, even though it feels bad, touch shots are easily controllable. Excessive offset in the neck was very off-putting. 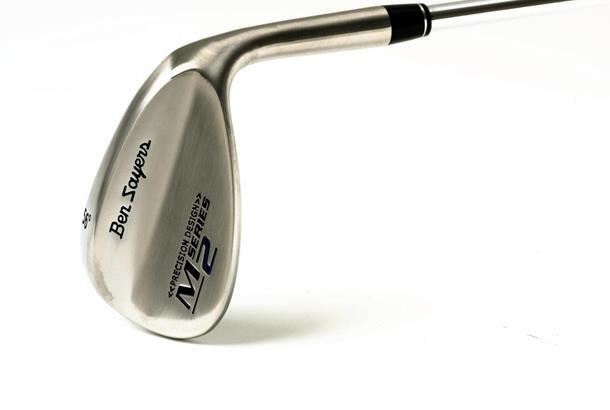 The cheapest wedge on test by a mile, and the performance reflected that. Our testers didn’t like the way it sat behind the ball, and all agreed that the excessive offset in the neck was very off-putting. The finish didn’t look classy and the distance control wasn’t consistent – there were 20 yards between our pro’s longest and shortest full shots. The only saving grace was the excellent spin results, which prove that, even though it feels bad, touch shots are easily controllable. But, to be honest, you’d be better off spending an extra £20 on a better wedge.